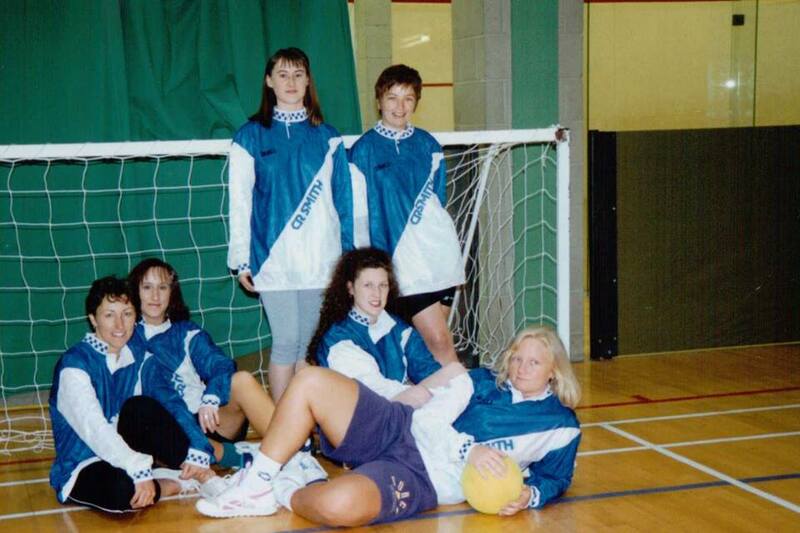 Many years ago I worked with a young woman who had more life and energy for sport than anyone I have ever met. Fiona is much younger than me but was happy to play me at squash. She was a tough opponent, her strength was phenomenal. We also played in the company five a-side football team together. Somehow I always ended up on the opposite side to Fiona and was terrified of her punishing tackles. She persuaded the company owner to let me use his personal gym where Fiona and I would train together. She taught me how to use weights correctly and often we would meet at the gym at 6.00am and cycle miles through Fife countryside before work. I thought she was invincible. We lost touch when I changed jobs and then picked up contact again through Facebook. On the surface she was fine. Then I discovered through a mutual friend that she had been battling a brain tumour for years. All the fight and energy she used on the sports arena was now being channelled to keep her alive. Despite her illness Fiona is still the same funny, bubbly person she was during the gym years. She has one of the most infectious laughs I’ve ever heard. During one recent communication with Fiona I became very frustrated. I wanted to do something – anything to help her. I remembered her posting about wearing a grey hat for Brain Tumour Research. That afternoon in November 2015 I started to knit hats. I haven’t stopped since. I decided I would ask people to sponsor me to knit fifty hats before the end of June this year. I’ll be posting regular updates of #Hattastic Big Knit on this blog as well as pictures of the hats as they grow and details of how to purchase a hat. 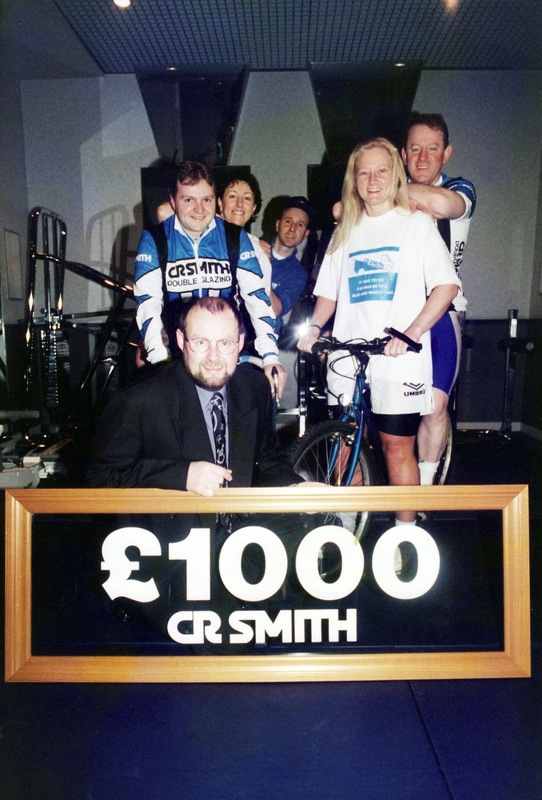 This Just Giving Page is for sponsorship only due to Gift Aid rules. I set it up because I realised that the challenge itself is worth sponsorship and not everyone suits a hat – I don’t! 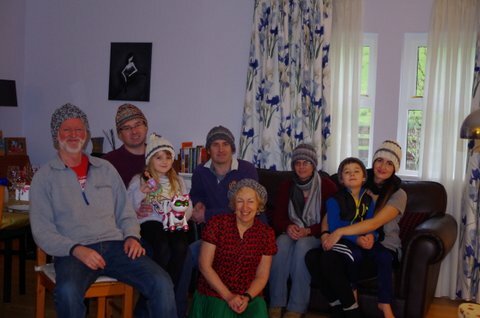 To date I’ve knitted thirteen hats, in six different styles. I’ve sold three. This amounts to a total 42482 stitches knitted using 1092 grams of wool. And not a fur pompom in sight! 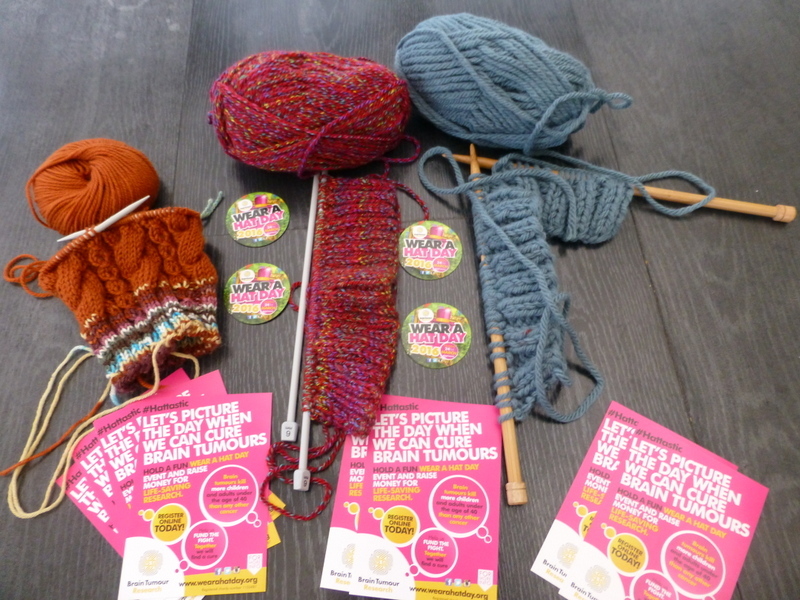 On the 24th March 2016 Brain Tumour Research hold their ‘Wear a hat for a Day’ event. Do you need a hat?